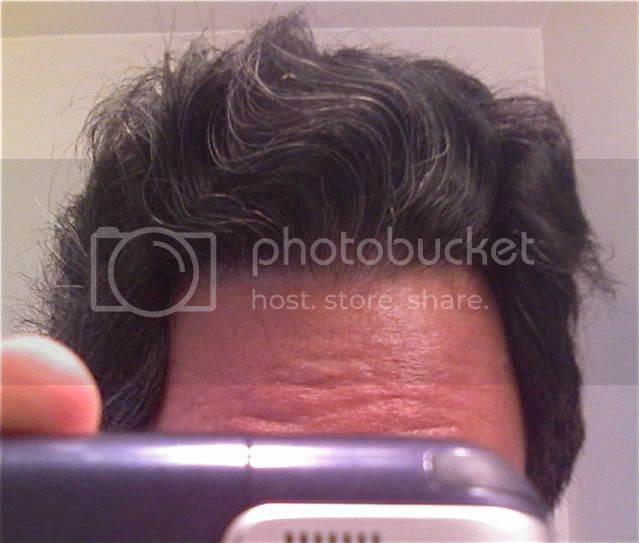 I just wanted to share my regimen as I believe I am maintaining my hair pretty well these days. There are high NWs all over both sides of my family. 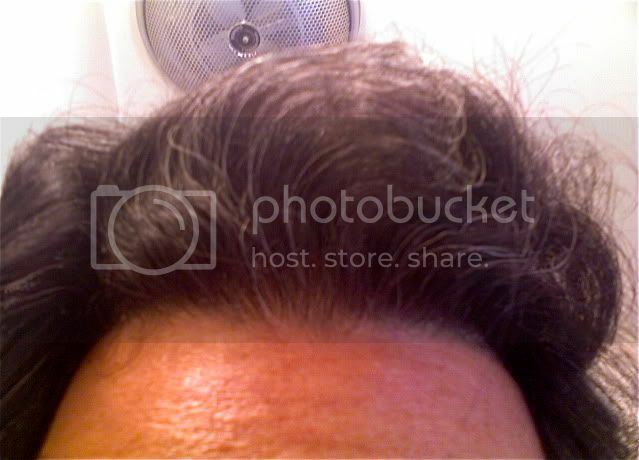 Granted, I am an HT repair patient so much of my hair is transplanted. My goal now is to maintain what I have and keep my scalp healthy. This has been my routine for about 3-4 years now. IMO, there are treatments here that could benefit non-HT patients as well, beyond the “big three”. The Amazing Laserbursh, once or twice a week (about 2.5 years, maybe more). I know there are many laser critics but I really think this treatment helps my existing hair and scalp health. Nizoral or Head and Shoulders shampoo once or twice a week (about 2 years). 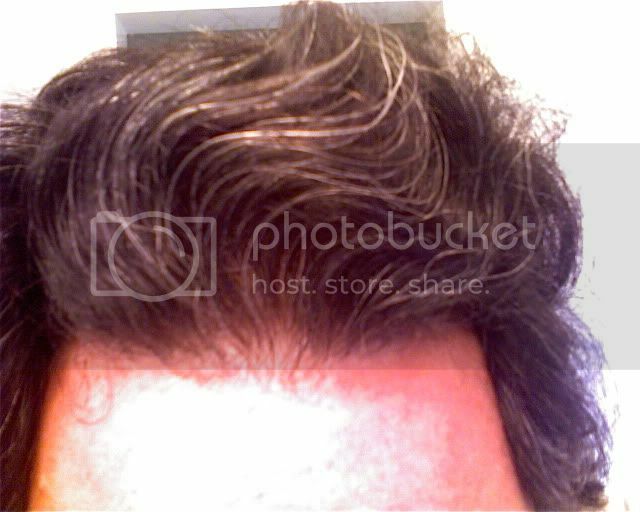 A good leave-in conditioner (Last two years, finally found two I really like - Pantine Pro-V Restoratives “breakage defense” and Garnier Fructis leave-in cream). My signature contains my whole hairstory. Many strips, one BHT hairline repair procedure. P.S. 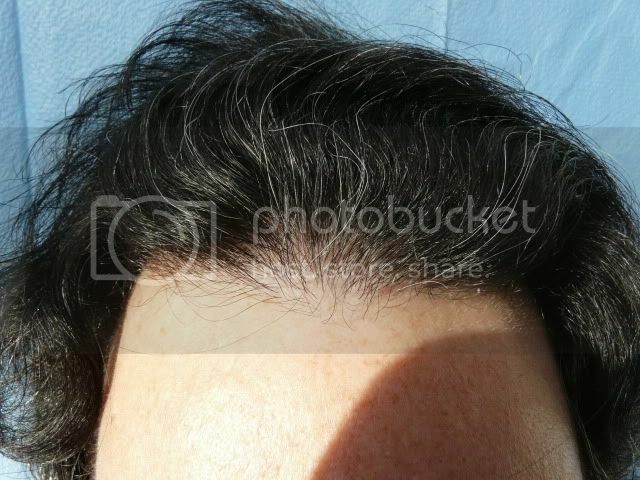 I’m 41 years old and live in LA if anyone wants to meet up and talk hair. Lol. » pretty well these days. » There are high NWs all over both sides of my family. » Granted, I am an HT repair patient so much of my hair is transplanted. » My goal now is to maintain what I have and keep my scalp healthy. » This has been my routine for about 3-4 years now. » beyond the “big three”. » 2. Minox liquid at night only from Costco (about 18 years, no sides. » treatment helps my existing hair and scalp health. » My signature contains my whole hairstory. » Many strips, one BHT hairline repair procedure. You were blessed with great results from a Body FUE procedure, but unfortunately you represent an extremely tiny and small percentage of people who have undergone body fue. Is it just me? what s the white stuff along the hairline? reflection from the camera or something else? » the camera or something else? I assure you there is no “white stuff” in/on/or around my hairline whatsoever. Perhaps in the indoor shots it the lighting. Those indoor photos were taken with a cell phone. The other photos were taking in the California sun with a hanging blue background attached to an exterior wall of our house for the photos. If you are ever in LA, feel free to contact me and we’ll meet for a beer and talk hair Lol. In the meantime, a video link of my BHT result is posted in my signature here. I suppose considering the tens of thousands (if not more) of traditional HT cases out there, you are correct. There are a number of BHT repair cases on Dr. Umar’s website as well as a few other doctors worldwide. I feel very fortunate to live so close to my HT doc of choice after all these years and so many procedures. Just knowing Dr. U’s clinic is so close to home, provides me much hair-peace. I would bet less than five percent of all HT patients are BHT patients, maybe much less. But that number is growing because of all those older HT cases that now need “fixing” or “adjustments”. And with the addition of nape and beard hair, repair options are even wider in 2010. But I am unaware of any hard numbers on BHT cases out there from any credible source. Someone should do a “hair transplant repair using BHT study”. I would read it. » cases on Dr. Umar’s website as well as a few other doctors worldwide. I don’t think that MJ was referring to the actual number of cases. I think he was referring to the percentage of failures using BHT. I have to admit that Dr. U has introduced cases at the beginning of their journey and in that sense he could not cherry pick these results!!! » that sense he could not cherry pick these results!!! In that case, again, I am unaware of any hard numbers on BHT cases out there from any credible independent sources. Someone should do a “Hair Transplant Repair Using BHT Study”. I would read it. However, we’ve all seen the vast number of repair cases of traditional HTs here on these forums and people walking around with plugs, minis and micros, stretched scars, ridging, pitting and poor yield. For many of us, body and beard hair are our best hope for hair “normalcy” as our traditional donor hair is all or mostly used up from “traditional” HT techniques. People can make all the unsubstantiated negative generalizations they like regarding BHT while a select few docs will keep repairing HT work performed by other clinics using antiquated techniques. Proscar cut into quarters. Yes. » » cases on Dr. Umar’s website as well as a few other doctors worldwide. Thanks for the correction that’s what I meant (albeit came out wrong). Sofar, I couldn’t help but notice (again) that youre hairs were from your legs. I was always under the impression that the body hairs grow on the scalp the same length they would have grown from their extract location. How did your hairs grow to be so long? There’s no doubt you had an excellent result, and if body fue were a little more consistent believe me I’d be in Dr Umar’s chair within 60 days. I am hesitant because a)the scarring and b)the legnth and texture of the hairs. I want the beard hairs into my crown and vertex area but I am again hesitant, because scars will be clearly visible from extract site on my neck. I also strongly dislike the fact that every doctor tries to show no scarring on neck area via blurry vids/pics with beard hair grown - how can you see scars with beard hairs grown??? Common sense sais clean shave then post close up shots. But alas, I know, business is business - this applies to every clinic, nothing directed towards Dr Umar at all. And if I opt for body hair, I am risking grafts to fall off in the future (is this true? ), and my understanding is that if you take dut/fin it sheds ody hair, so it will shed body hairs implanted in the scalp, correct? Also, the texture (which may be able to disguise if implanted in crown area), and the limit of growth (will grow same legnth as it always has in its original extract site). I’ll tell you what, if Dr. umar can guarantee me that my body fue scars will not be visible in my neck and/or body extract area, and that my hairs will be forever permanent, then I will book a consultation with him and will bok the next available flght. My leg hair grafts are in the very front of my hairline and just behind it. They are growing just a bit longer than they would on my legs. The shorter leg hair grafts help to create that “soft zone” of transition that occurs in nature before the solid hairline begins. There are also some leg hair grafts growing in between my older grafts, just behind the hairline to help disguise them. I have no scarring on my legs whatsoever. IMO, this all depends on one’s healing characteristics. I would imagine the same goes for beard hair extractions. There are pics on Dr. U’s website of beard hair donor areas shaved clean. Take a look. He can use laser/plasma treatments if needed to help reduce the appearance of any dot scarring. But again, different people heal differently. I’ve been on Propecia/Proscar for many, many years with no loss of body or beard hair. Again, this can differ from person to person though. A good rule of thumb with body hair is “what you see is what you get”. I wouldn’t expect any big changes in length or texture when this hair is transplanted. 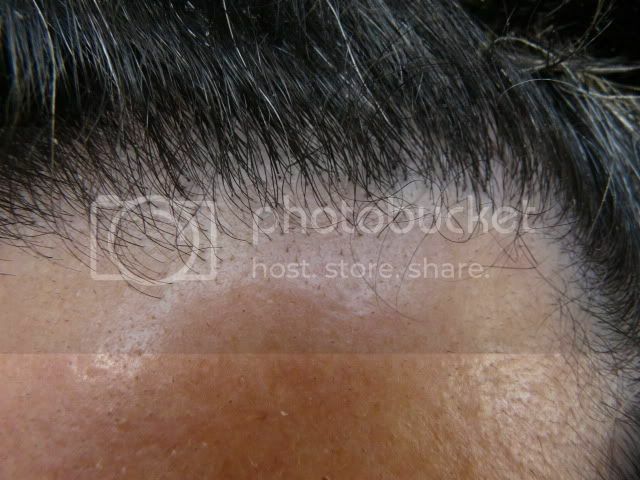 However, those grafts can be more densely packed on the scalp than found on one’s body. There are NO guarantees in any HT surgery (strip, FUE or BHT). This is why a small BHT or beard hair “test session” is prudent when going in for regular FUE, imo. My test session was about 300 leg hair grafts. A year later I went in for another 1000.